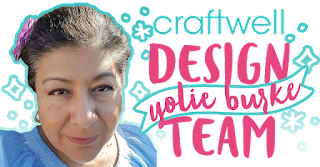 Hello this is Yolie with your countdown girl, did you know Autumn is just 2 weeks away?! 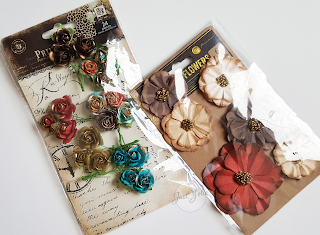 'Tis the season for Autumn Crafts. Ok so I may have gotten a head start, but it's my favorite time of the year. 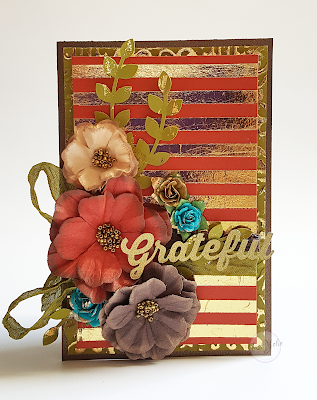 So let's get started with a gilded card using this month's sponsor product from Teresa Collins. I will showing 2 gilding techniques. 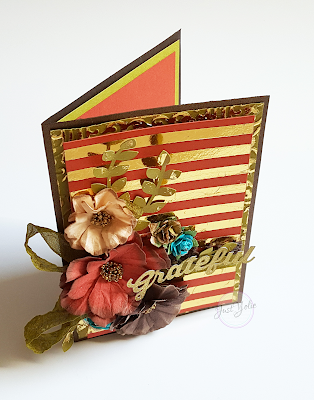 I used the Cabana A6 embossing folder for the top layer of the card. 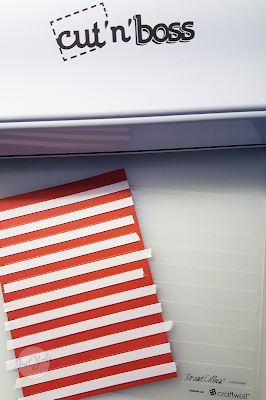 I added Scor Tape to the embossed stripes then trimmed off the excess. 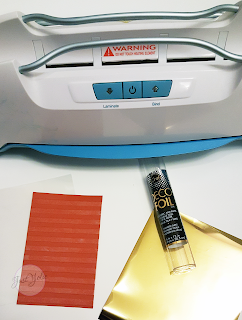 I took a sheet of gold Deco Foil, placed on top of the card layer and ran it through my vintage laminator. 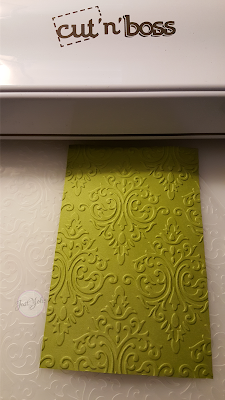 I then ran the bottom layer of the card and embossed it using the 8" x 12" Brocade embossing folder. 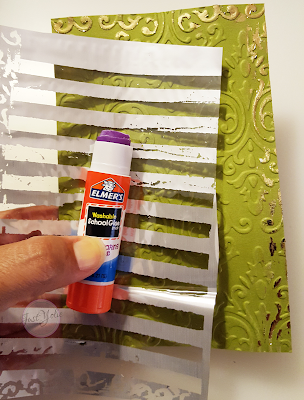 Here's the 2nd gilding technique; I ran a glue stick along the edges of the embossed paper, gave it about 30 seconds to dry and then applied the foil sheet. It doesn't have to be perfect, I just wanted a bit to peek through. 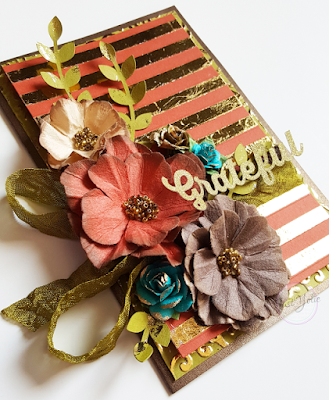 I embellished the card with Prima pretties, seam binding ribbon, a few Cricut sprig cuts and sentiment. Here you go, my gilded Gratefull card.